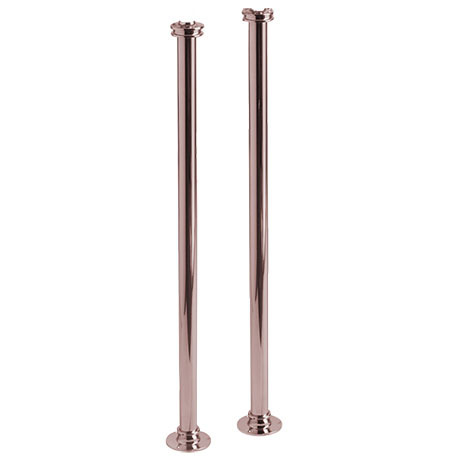 A pair of decorative rose gold standpipes designed to support taps or mixers near freestanding baths and conceal the water pipes fed from under the floor. Suitable for baths without tap holes and taps that have separate legs. Heritage manufacture their products to the highest standards and use the finest materials. Guaranteed for 5 years against any manufacturing faults.